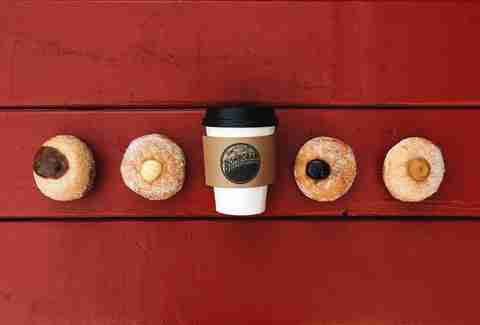 Just when you think that Chicago’s donut roster couldn't grow any bigger, a new bakery or extension of an existing donut shop opens up. 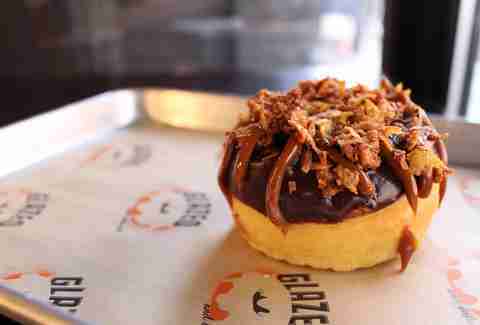 Serving as hives of activity for Chicagoans and tourists alike who share a collective insatiable hunger for bacon and chocolate ganache, the shops are proving that, unlike cupcakes, fried dough rings seem to transcend trendiness. 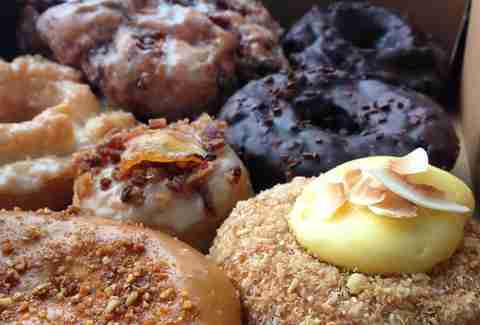 Here are the best places in the Windy City to succumb to a donut craving. 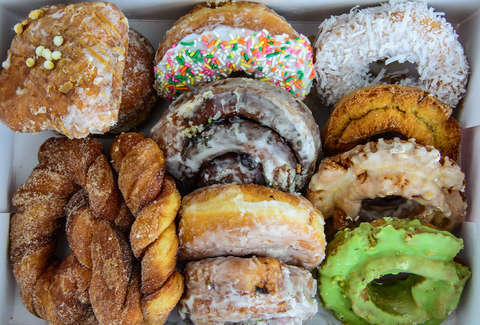 From seasonal specials to perennial stunners like the maple bacon long john and the classic vanilla bean glazed, this seemingly ubiquitous local donut shop has the answer to all your donut needs (yes, “needs;” dire donut deficiencies happen, people). And with locations in five different Chicago neighborhoods, you need not travel far to get your fix. This wildly popular fried dough purveyor has been known to break hearts over its limited amount of fresh-baked donuts (they only bake a certain amount daily; once they run out, they close until the following day), so you’ll have to plan your trip wisely. Stop by on the early side for an array of some of the best old fashioned-style donuts in the city, like toasted almond, coconut cream, and lemon poppy seed. Pro tip: a limited number of their coveted old fashioneds are also available at the restaurant group’s other cafes, including Sawada Coffee, CC Ferns, and Three Arts Club Café. LA-based Stan’s may have only arrived in Chicago a couple years ago, but its popularity has spread like wild fire throughout the city, with four outposts open and quite possibly more on the way. 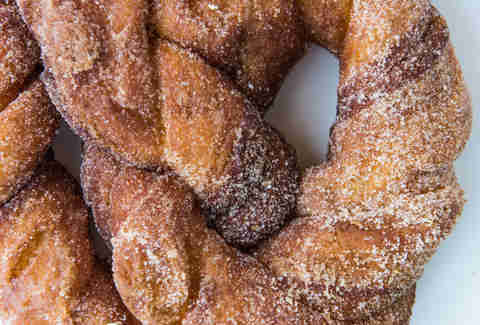 Stop by the retro-looking shops for the chain’s signature stuffed pockets, cinnamon and sugar encrusted pretzel twists, and more. We’re guessing that when you think of Indian-inspired pub fare, donuts probably aren’t the first thing that come to mind, but hear us out: there’s no better way to follow up a samosas-packed meal then with something sweet, especially when the “something” stays on-theme. 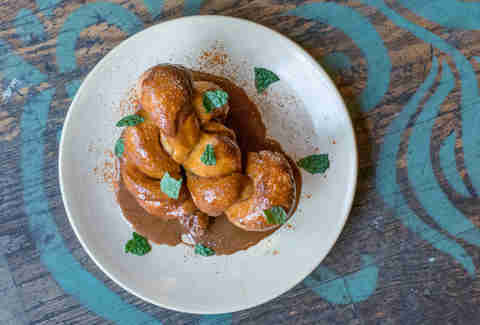 Pub Royale’s epic twisted donut of your fantasies is made with deep fried naan dough and finished with a dulce de leche glaze spiked with chai spice. While it’s not uncommon to end an Italian meal with bomboloni for dessert, sometimes, we’d just prefer to forget about a balanced meal altogether and skip straight to the finish line. Consider this side street attachment to Bar Siena that aforementioned finish line: a walk-up shop where plump bomboloni come in flavors ranging from vanilla bean custard to salted caramel and are available for purchase solo or by the dozen. 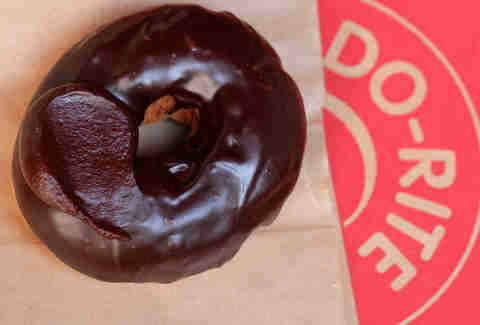 When they’re not carving up donuts for ice cream sandwiches, the folks at this specialty donut joint are crafting tantalizing creations like Hawaiian-style maple glazed pineapple and bacon donuts, apple cinnamon fritters, chocolate hazelnut long johns, and giant birthday cake donuts big enough to feed several hungry sugar addicts. Iliana Regan’s (Elizabeth) highly anticipated micro bakery is finally here, and while the foie gras molded into woodland creature shapes has made a splash on social media, it’s the rotating selection of donuts that has us hooked. The selection changes daily, but has recently included a knockout whiskey glazed number. 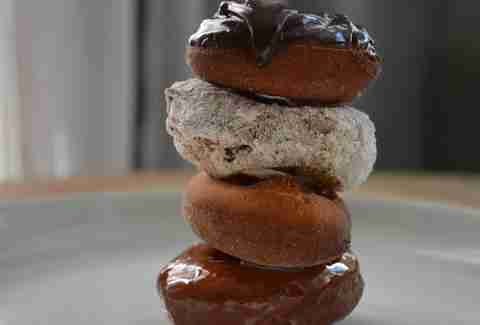 Here, the rich, crusty chocolate old fashioned has just the right ratio of chocolate glaze to buttermilk donut, with a double-dipped Valrhona option for relapsing (or just flat-out unrepentant) chocoholics. And, for those with dietary restrictions who are just as powerless over donuts as the rest of us, there are plenty of gluten free and vegan options, too. 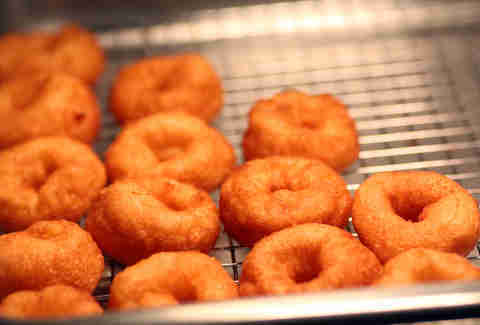 With all the new-ish entrants into the donut game, it's important not to forget about the OGs. 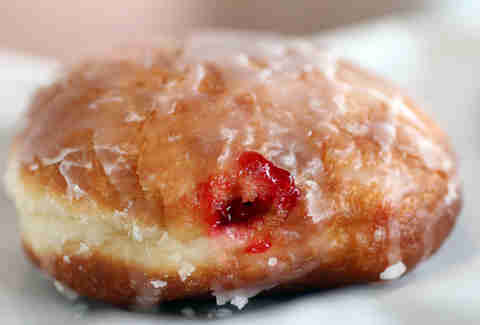 This from-scratch German bakery has been producing killer pastries for 90+ years and the yeast-raised Bismarck filled with raspberry jam proves they've still got it. 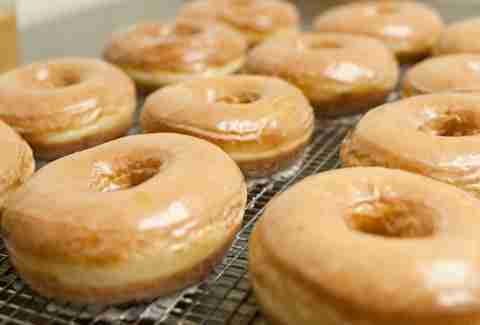 This South Side donut shop has been frying up the good stuff for over two decades, originally gaining fame for its monstrous "Big Dat." 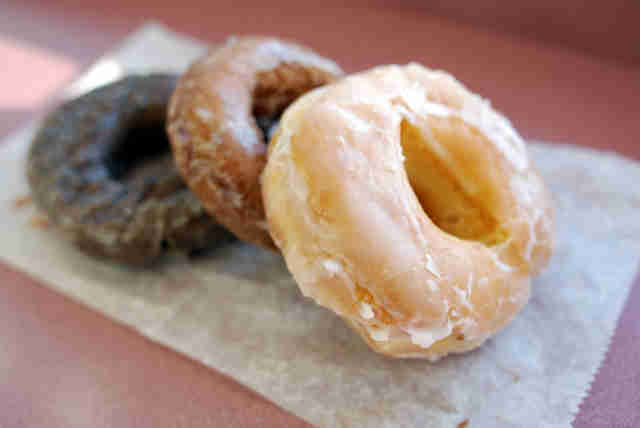 Today, it remains the preeminent donut purveyor in South Chicago, and wins hearts on the daily with its apple fritters, traditional donuts, and cinnamon rolls. 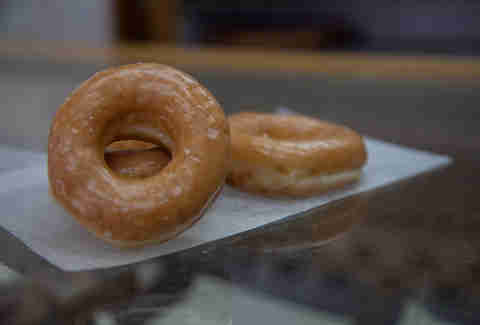 If classic, fuss-free donuts are what you seek, that's exactly what you'll get at this old school bakery. Treat yourself to an assorted dozen stacked with strawberry Bismarks, Devil's food cake donuts coated in chocolate glaze, yeast-raised caramel donuts. Hot off the conveyor belt, Beavers’ miniature buttermilk donuts are as versatile as they are delicious -- trick them out with s'mores fixings, douse them in strawberry sauce and a coating of Pop Rocks, keep them simple with powdered sugar, or have them ground up into a milkshake, because, Chicago. Love free donuts? Find out where to stock up for this year's National Donut Day on Friday, June 2, 2017.